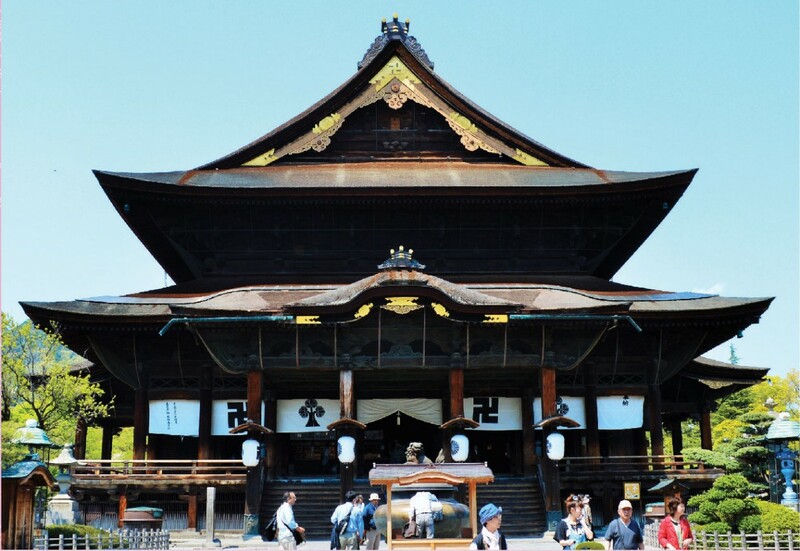 The morning service, also called “o-asaji” at Zenko-ji Temple, is one of the most interesting activities that you could partake in while you are in Nagano City. Zenko-ji Temple is one of the few remaining temples in Japan that still holds a Buddhist morning ceremony everyday, 365 days a year – a ceremony called “o-asaji”. The morning service has remained unchanged for many centuries, making it one of the more memorable experiences that you can have while in Japan. The o-asaji service is conducted in the inner sanctuary of the main hall, an area in which the first known Buddhist statue to be brought into Japan is housed. To begin the ceremony, the head-priest makes his way up to the alter and turns his back on you. He moves his hands and gestures in the air. While he performs these ancient rituals, monks seated within the inner sanctuary sing sutras to accompany his movements. The deep-throated synchronized chanting echoes through the dark temple hall and creates an atmosphere that is as otherworldly as it is magical, all the while, the fabled statute remains hidden from view. Zenkoji is unique in that it is a non-denominational temple. It belongs to no one sect and all are welcome. While non-denominational, the temple is cared for by two sects, the Tendai and Jodo sects; the morning service is conducted in turn by both sects. After the Tendai head-priest concludes his ceremonies and prayers, he is followed up by his Jodo sect counterpart. She – the Jodo sect is a convent with a head-priestess – will perform the same ceremonies, accompanied by different sutras. 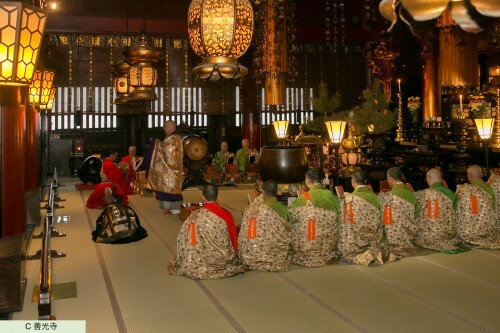 Each ceremony lasts approximately for 30 minutes. 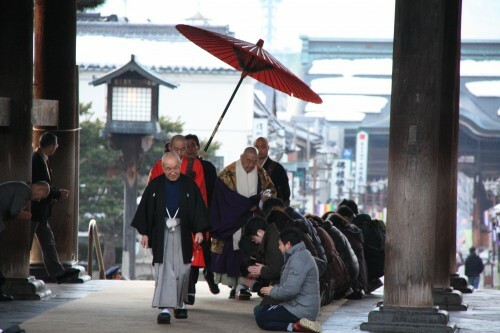 The rosary blessing, in Japanese “o-juzu choudai,“ and morning service are connected, with the rosary blessing taking place before the morning ceremony. The Tendai sect head-priest leaves his temple, Daikanjin, and walks towards the main temple. He is acccompanied by monks who guide him through the crowds and protect him from weather by shielding him with a large red umbrella. On his way to the main temple he will bless visitors, who kneel before him patiently, with his rosary. This blessing is said to bring devotees closer to heaven. 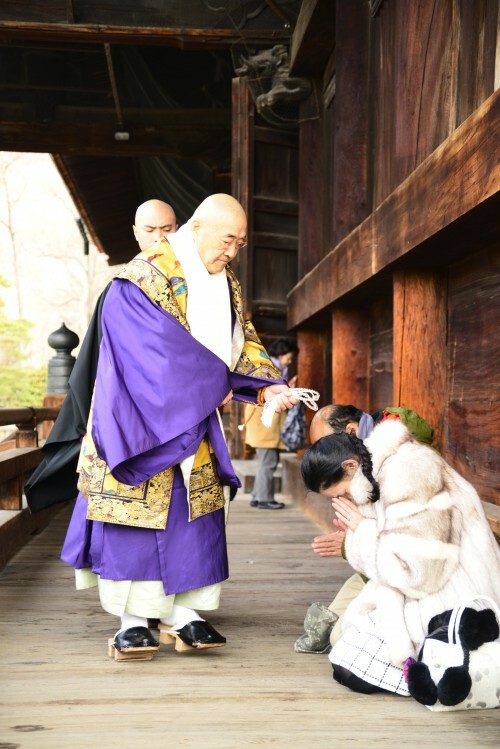 The head-priest of the Tendai sect is followed by the head-priestess of the Jodo sect who leaves from her Daihongan temple 15 minutes after the head-priest. You therefore have four chances of receiving the rosary blessing from the priest and priestess, on their walk from and back to their compounds. If you want to observe the ceremony in close proximity, purchase of a ticket to the main hall for 500JPY will allow you to sit in the inner sanctuary, very close the monks. This ticket can be purchased at the ticket machines inside the temple. They have English menus and temple staff are usually on-hand to assist if necessary. 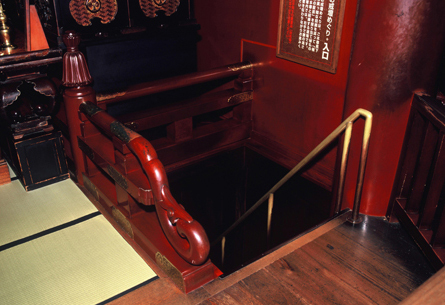 Once the ceremony has concluded, this ticket allows you to remain within the inner sanctuary and enter the “kaidan meguri”, a tunnel that runs underneath the temple. Completely dark the tunnel represents the process of death and rebirth – a fundamental belief in Buddhist practice – and leads you toward where the original statue is hidden. While in the tunnel, you search for the Key to Paradise using you hands and wits, as you literally can see nothing in the darkness. This is a unique experience and one that we recommend trying while at the temple. The start of the ceremony depends on the time of the sunrise. In summer the ceremony start around 5:30 am and 7:00 am in winter.The priest and priestess depart their temples of residence and give the first rosary blessings when the first rays of light hit the temple. Please see the approximate time of the ceremony in Zenko-ji event schedule (written in Japanese but you can see the time written on the left of “お朝事,” meaning “morning ceremony”). 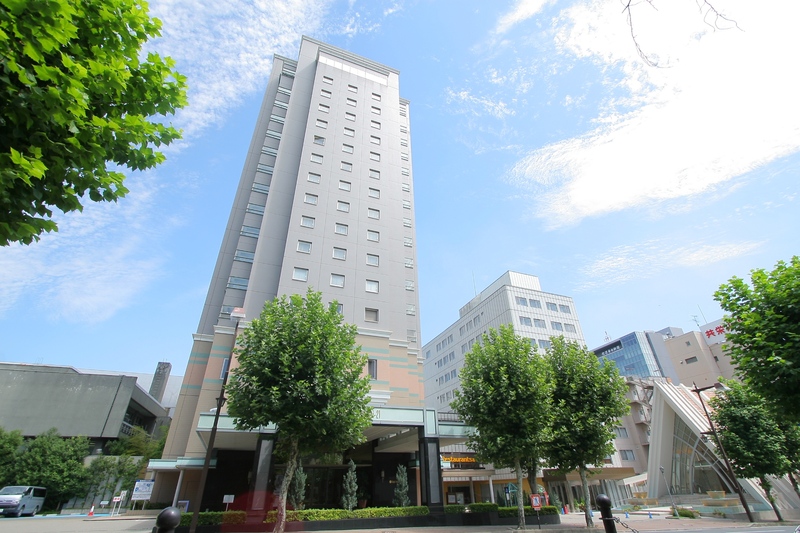 In order to attend the morning ceremony, it is best to stay in a hotel centrally located in Nagano City within walking distance of the temple . 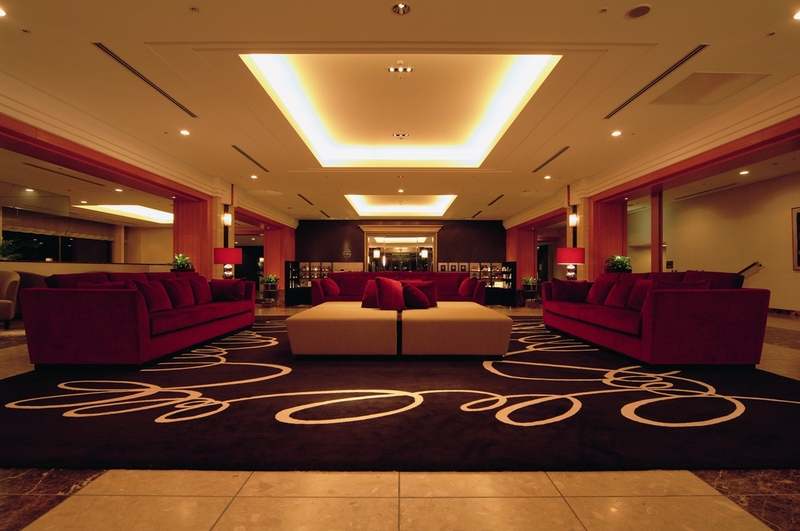 Hotel Kokusai 21, is one of Nagano’s best accommodation options. Conveniently located between the temple and JR Nagano Station and with staff well-accustomed to servicing international visitors, we recommended Kokusai 21 for any guest wanting to attend the morning ceremony at Zenkoji. When you come to see the o-asaji, you will be sitting either cross-legged or on your knees for quite a long time. It can be bus,y especially in winter, as many people like witness the o-asaji. We recommend attending the venue a little ahead of time to ensure you have a good position. Please note that photography is prohibited.